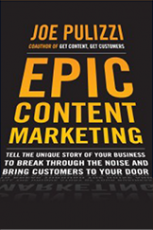 Check out these Content Marketing Institute books. No longer can we interrupt our customers with mediocre content (and sales messages) our customers don’t care about. Learn how to draw prospects and customers in by creating information and content they actually want to engage with. This groundbreaking guide gives you all the tools to start creating and disseminating content that leads directly to greater profits and growth. 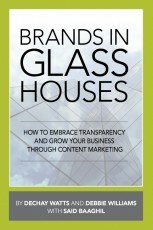 Brands in Glass Houses shines light on businesses that are revealing themselves authentically, not just as a marketing tactic, but also as a way of doing business. The authors show you how to provide interesting content so customers can connect with your brand on an emotional level, making them more likely to buy from you, talk about you, share their experiences about doing business with you, and, ultimately, listen to what you have to say. Learn how to put content marketing to work. Managing Content Marketing shows you, in detail, how to manage content marketing within your organization, whether you come from a small company or multi-billion dollar brand. This book shows you how to optimize your account with all your digital content—from presentations, reports, ebooks, and infographics through to blog feeds and HD videos. There’s never been a SlideShare guidebook for business use—until now. 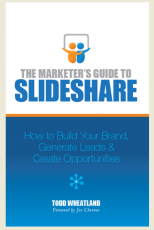 And whether you’re an experienced SlideShare user, just starting out, or yet to make the step, The Marketer’s Guide to SlideShare is for you. 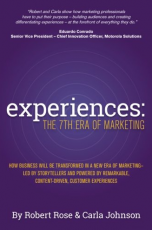 In this brilliant and groundbreaking book, media and marketing strategist Andrew Davis uncovers how unconventional content partnerships lead to unparalleled marketing success. 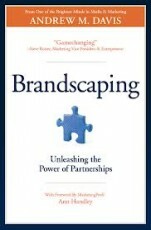 Brandscaping is both an intellectual exercise and a practical guide written by an entertaining storyteller. 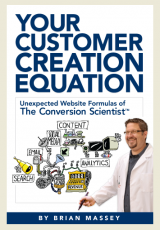 This book will uncover your unique customer creation formula. It doesn’t matter what color your buttons are if you don’t have the right strategies in place. Stop hoping that your website will succeed. Design it for results. Let The Conversion Scientist teach you how. 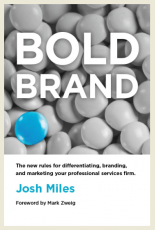 Bold Brand: The new rules for differentiating, branding, and marketing your professional services firm. Bold Brand is a process that any professional services firm can follow to identify, develop, and leverage their brand essence to market themselves in a truly unique way. 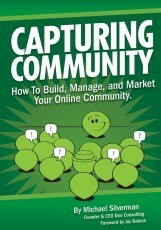 This book shares the keys to successful communities and the wisdom learned from social media marketers. Learn about the tools & techniques to create effective communities online. 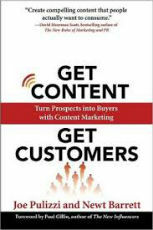 This is the book that started the content marketing revolution. Learn how to develop compelling content and seamlessly deliver it to customers— without interrupting their lives. 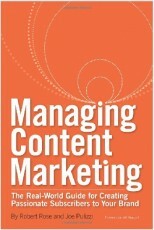 CMI has a number of content marketing books in production. We are currently NOT accepting new manuscripts.